① Look at information in the blog. There is preparation of each information for English-speaking customers in the blog. There is a menu bar on the right side of the website. You can click the Google translation and set the display to English. 1, Google translation is not perfect, some pages may not be translated. 2, Please refer to the tour list below when making a reservation and note that the tour name may be incorrect for the translation function. Palau is surrounded by barrier reefs and has many islands. The in reef is always calm and there is the best kayaking field. 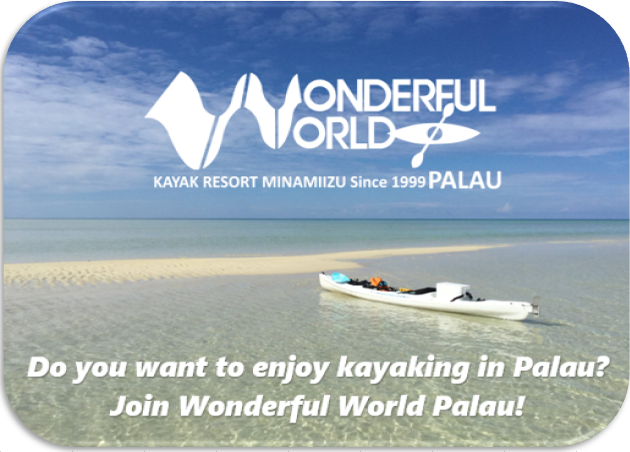 Please watch the kayaking course of Wonderful World Palau with the following movie!